Why trust us? We don’t just write about Chromebooks and Chromeboxes; we use them every day. Whether you want to watch a video, play a game, or get some work done, these are the best Chromeboxes you can buy. The HP Chromebox G2 is the best Chromebox you can buy. It’s actually two of the best Chromeboxes you can buy thanks to HP’s numerous configuration options. The high-end G2 with an Intel Core i7 CPU processor, 16GB of memory and 64GB of storage will more than handle any task you throw at it now and in the future, and the entry level G2 with more modest specs and a $199 price tag is the best Chromebox for anyone on a budget. This is HP’s top-configured G2 Chromebox. It’s pricey, but it’s also a very powerful computer that can handle every task you need it to today as well as any future tasks as Google rolls out Linux program support to Chrome OS devices. This Chromebox simply can do everything. It’s loaded with exterior ports (USB Type-C, USB 3.0 and 2.0 legacy, HDMI, SD card) and the components are current generation as you would expect in any powerful computer. If you want a Chromebox for the whole family that’s future-proof, secure, and dependable, you can’t go wrong with the HP Chromebox G2. It’s tough to say anyone should buy a $690 Chromebox. Our budget pick, also the G2 in a more modest configuration, will handle the needs of most users and provide a great experience on the web or in the home office. The difference, and what makes this configuration of the Chromebox G2 our top pick is its raw power. 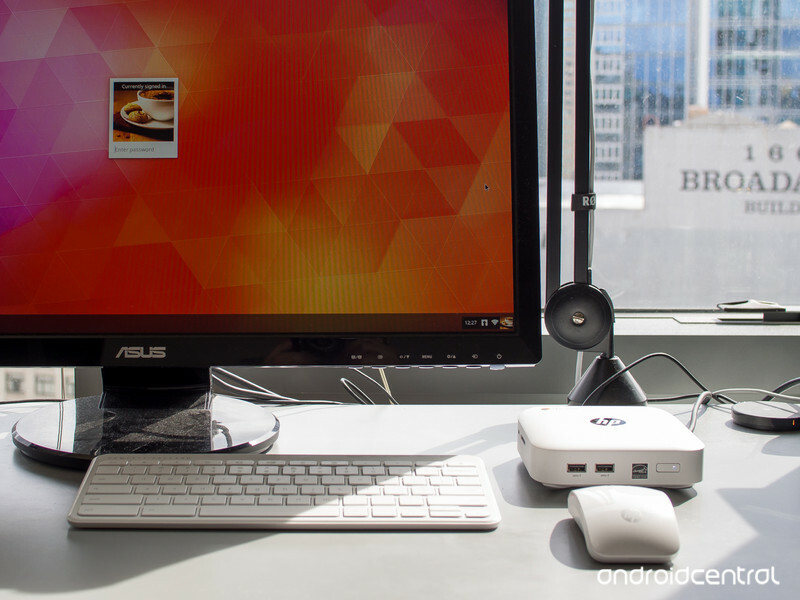 Linux and Android applications will change how many of us use a Chromebox. When updated, the G2 will be able to install almost any program written for a full desktop computer and plenty of programs like Steam for gaming or Blender for 3D modelling and rendering will make good use of the higher specs. And since all Chrome products are fully supported by Google for over six years, the G2 will also age very well and should be considered future-proofed. Content creators will especially appreciate the Chromebox G2 and it’s user-upgradable internal M.2 SSD storage. Is it a good time to buy this Chromebox? Yes. Last year’s Chromeboxes weren’t designed to be ready for full desktop programs or Android apps, and manufacturers have rushed to the gate with new models featuring powerful hardware. With the cost of computer components rising, buying a high-end pre-built small form-factor desktop is a wise decision for anyone who wants or needs said power under the hood. We don’t see component prices lowering anytime soon, so an investment today means you’ll enjoy the benefit of a secure workstation or entertainment PC without needing to worry about upgrading in 2019 or beyond. It’s tough to say one brand of Chromebox is better than the rest. Google has strict guidelines manufacturers need to follow and almost every company that makes computers offers a Chromebox that is very similar to all the rest. What makes the HP Chromebox G2 the top pick when compared to Chromeboxes from manufacturers like ASUS or Lenovo is higher spec offerings for a very similar price. Instead of offering one high-end model with 8GB of memory and 32GB of storage, the Chromebox G2 can come from the factory with 16GB of DDR4 RAM and a 64GB SATA SSD with very little difference in pricing. Not everyone can change SODIMM memory modules or swap an M.2 SSD and many folks who have the know-how just don’t want to tear down a small form factor computer case to do so. When you’re in the market for a high-end Chromebox to act as your personal or work-from-home computer, you won’t mind if you can go higher when it comes to memory and storage — especially if that means you don’t have to break out a screwdriver and do it yourself. The ASUS Chromebox 3 is also an excellent buy. You’ll find the same sort of current generation components available to make sure you’re ready to take full advantage of Linux applications, and a very similar configuration when it comes to ports. Minor differences aside, it’s tough to tell one top-shelf Chromebox from another. If you prefer the ASUS brand or won’t need more memory or storage options, the ASUS Chromebox 3 will give you years of use. 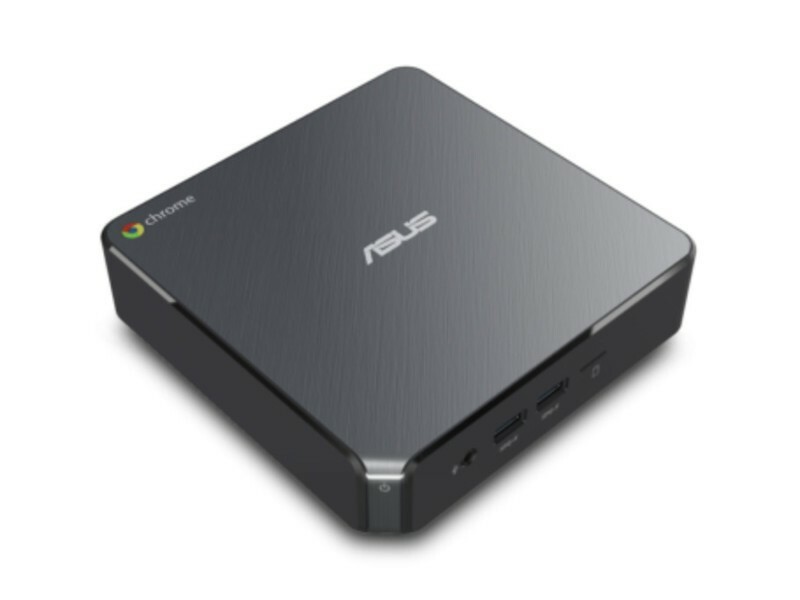 ASUS’ Chromebox 3 gives you all the power you need for all of your applications in one small package and has ASUS’ long history of building excellent Chrome products as its legacy. The only drawback is less memory and storage options. Some of us want a powerful Chromebox and aren’t worried about the particulars — as long as there’s enough under the hood to do all the cool things Google is telling us we can do, we’re good. While there isn’t a lot of price difference between similarly spec’d Chromebox models from all manufacturers, there are plenty of reasons to prefer the ASUS brand — especially when it comes to Chrome products. Once again, ASUS offers one of the best Chromeboxes you can buy. Had Google not announced a future where powerful Chrome products would have access to the vast library of Linux programs, the base model HP Chromebox G2 would have been our top pick. $199 nets you a 64-bit Intel Celeron 3865 processor, 4GB of DDR4 RAM and a 32GB SSD — and every other feature that makes the higher spec’d G2 the overall best. For someone who wants the best possible Chromebox experience, the HP Chromebox G2 configured with all the trimmings is the best choice. It’s chock full of powerful components and many are user-serviceable, but you’ll pay quite a bit for it, roughly $690. For those who prefer the ASUS brand and aren’t concerned with more memory and storage options, the ASUS Chromebox 3 offers a great experience and the peace of mind that comes with the ASUS branding — though it’s similarly high-priced. 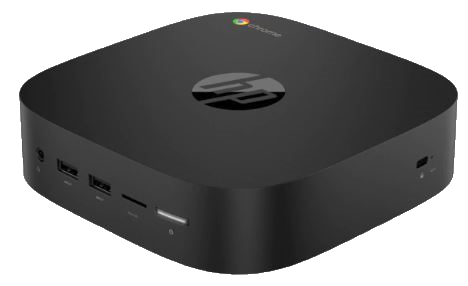 If you aren’t concerned about Linux containers or any of the voodoo Google has in store for Chrome products, the base model HP Chromebox G2 is an incredible value at just $199. Jerry Hildenbrand is Mobile Nation’s Senior Editor and works from a Chromebook full time. Currently he is using Google’s Pixelbook but is always looking at new products and may have any Chromebook in his hands at any time. You’ll find him across the Mobile Nations network and you can hit him up on Twitter if you want to say hey.